This Irish charm features a Celtic cross with a blessing on the rear and it would make an ideal lucky pocket token. This lucky charm features an embossed Celtic cross on the front with an Irish blessing on the back. The Celtic cross pocket token is made of pewter and measures 1 1/8" diameter. 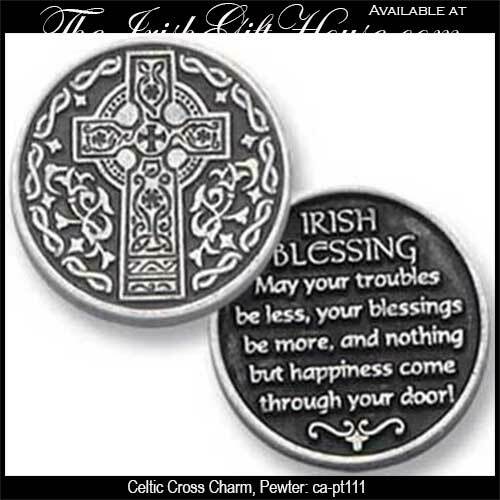 The Irish blessing pocket token is enhanced with a dimensional embossed design.